Kids love summer vacation, but teachers dread the learning loss students experience without regular reading and learning over the summertime. Children can fall three months behind academically while school is out, especially if they lack great books, good nutrition and active engagement in learning at home. Students who continuously fall behind over the summer are less likely to graduate from high school or go to college. Just read. Help your child read any and everything of interest to them. Let them see you reading every day from simple things like the signs on the street to labels on your food. Here are some great books for tweens and younger children to read this summer. Visit a library. Libraries have more than books. You can use technology and sometimes see a performance or do fun projects with other kids. Do math wherever you are. During the summer, students can lose two months of math skills. Count the steps on the escalator at the mall. Turn a grocery trip into a math lesson, calculating coupon discounts, or whether sale items really are a good deal. Be active. There are lots of free learning opportunities in public parks. United Way’s Born Learning Trails feature age-appropriate activities and games on engaging signs placed along a trail and help create learning opportunities for a young child. Find a Born Learning Trail near you. Take care of bodies, too. Healthy foods are brain food, so keep nutritious snacks around the house. Kids might have tons of fun at camps and other summer events, but it could make them tired by the end of summer. Keep a routine bedtime, even if it is a little later than during the school year. 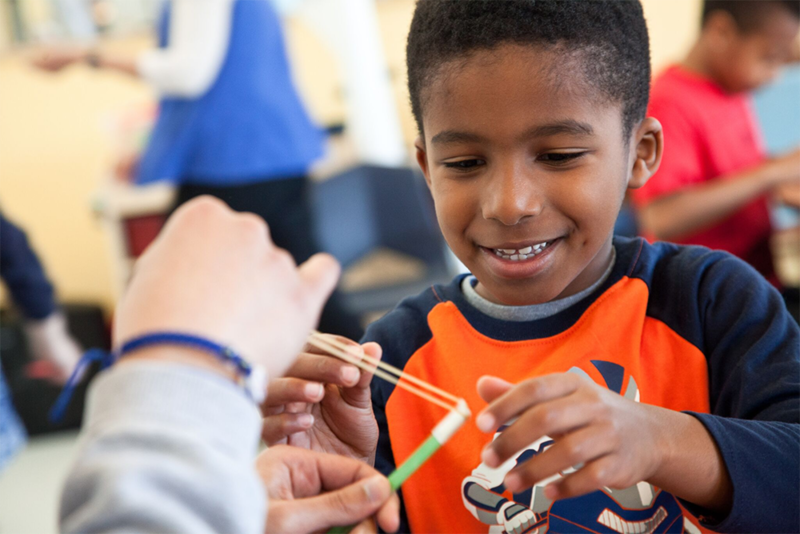 Consider a summer learning program, like the Hasbro Summer Learning Initiative (HSLI), funded by the Hasbro Children’s Fund and United Way of Rhode Island. HSLI offers children from low-income families six weeks of hands-on experiences, field trips, and more. In 2016, pre- to post-test scores in literacy and mathematics among participating students increased 22% and 30%, respectively. And my favorite, volunteer together. Volunteering exposes us to new people, places and ideas – all good for keeping the mind sharp. And it builds skills for life! Advocate for summer learning. Ask your elected officials to support funding for summer enrichment programs. Contact your local United Way to learn how to attend and support summer learning events in your community.